Architectural Photography. 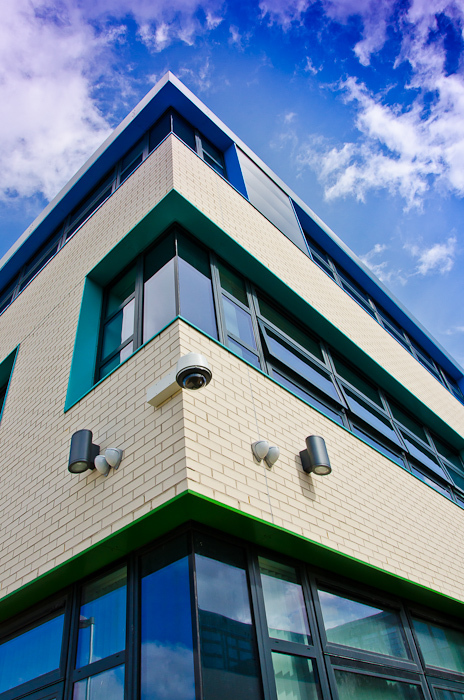 Striking contemporary architecture, featuring buff bricks and multi-coloured aluminum architectural components. Architectural Photography: shots of new school extension; new arts, drama, gym and teaching space facilities added to 1930s school.